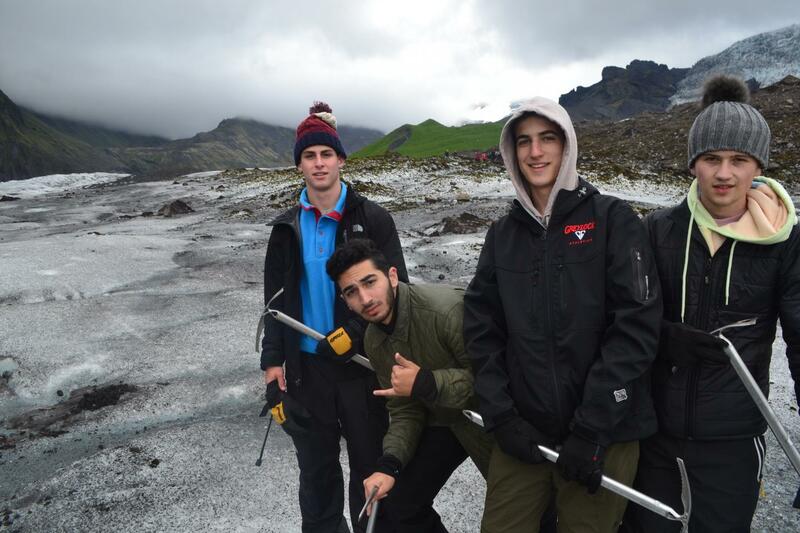 Join us this summer as we head to the northern corners of the world to discover the best that Iceland and Scandinavia has to offer on this ultimate Nordic teen adventure. 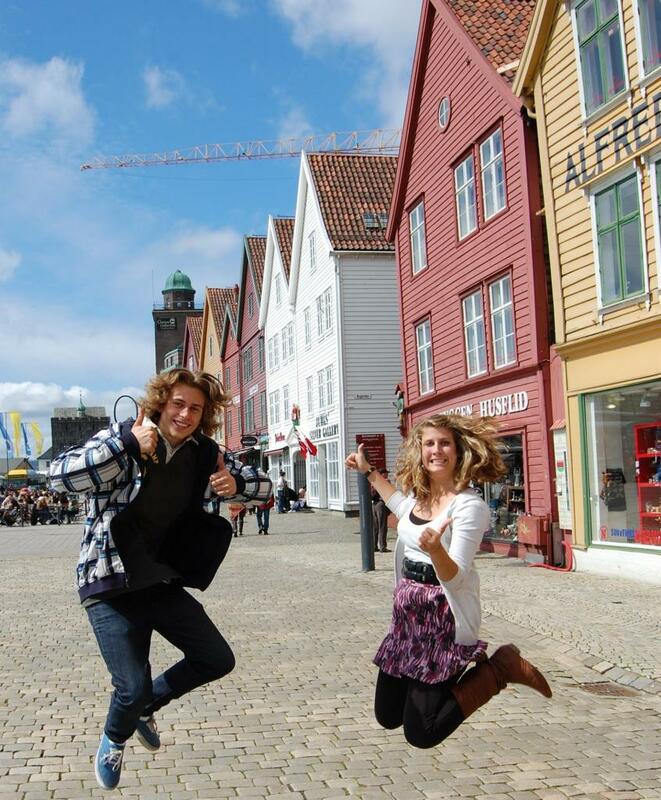 We will begin this truly unique tour cruising through impressive Norwegian fjords, enjoying charming towns in Sweden, discovering why Denmark is considered the happiest country in the world, and checking out the world’s most live-able city in Finland. 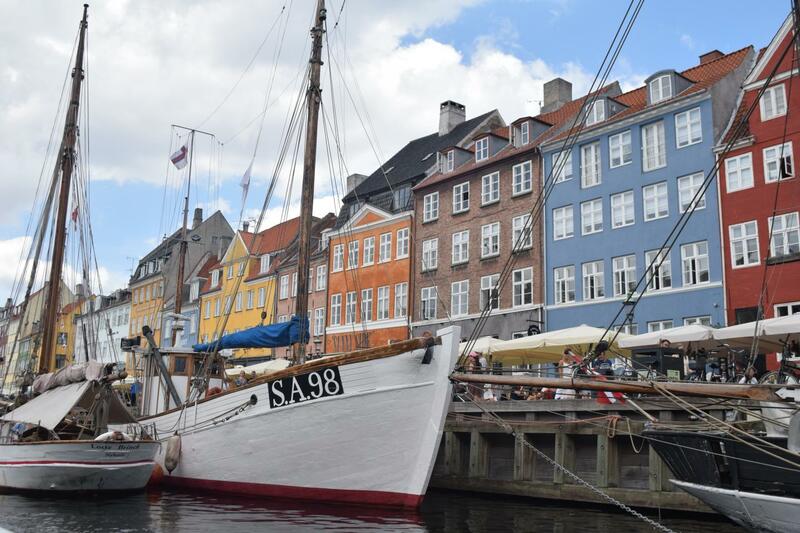 In addition to these well known cities and sites, we will also visit some lesser-known gems of Scandinavia, including charming local towns and beautiful countryside that are off the typical tourist track. Then it is onward to Iceland! Breathtaking waterfalls, immense glaciers, spectacular volcanoes, and some of the richest wildlife on the planet have made this remote European country one of the world’s top destinations. We’ll begin in the hip city of Reykjavik, home to funky street art, artisan boutiques, and some of the friendliest people you’ll ever meet. From there we’ll road-trip around the entire country following the Ring Road, making stops along the way to soak in one of the world’s most untouched countries. 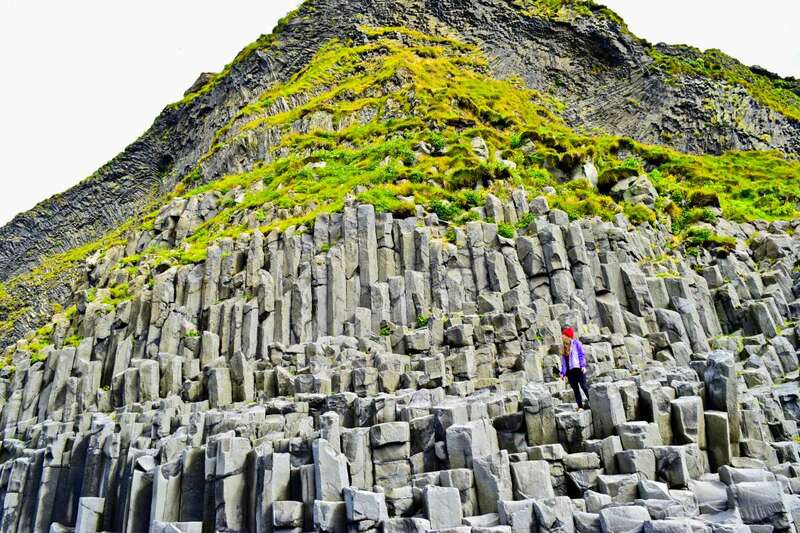 You’ll have the chance to snorkel in the fissure, where the European and American tectonic plates meet, hear the roar of waterfalls as you stand behind the cascading water, and hang out with puffins as they roost on the cliffs! 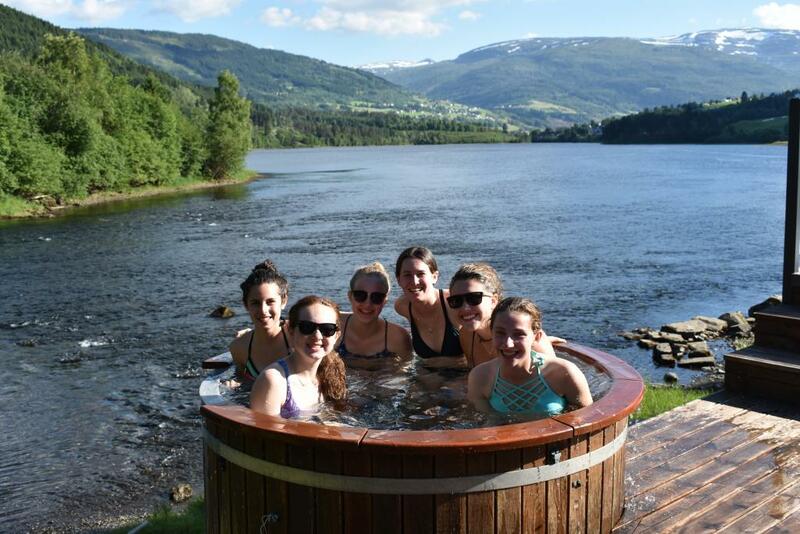 Go for a soak in not just one, but several natural hot springs, including the famous Blue Lagoon. 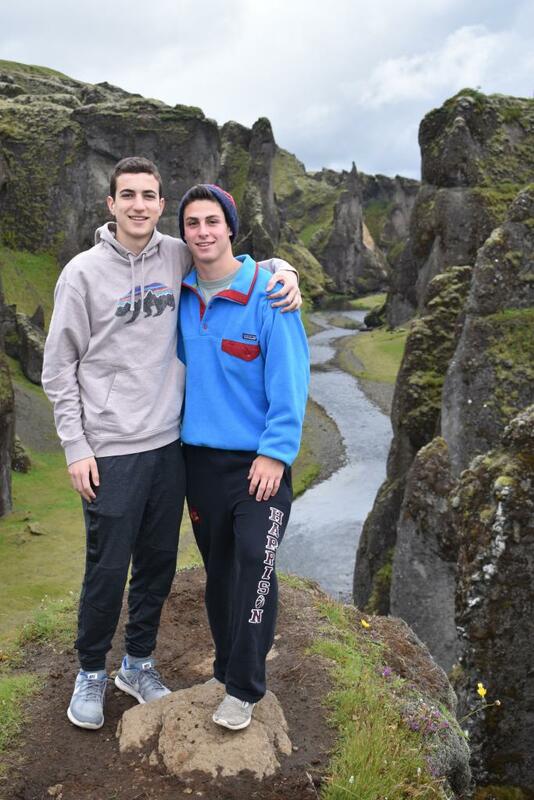 Hike in the amazing Dimmuborgir Lava Forest, and even ride the majestic Icelandic horses. 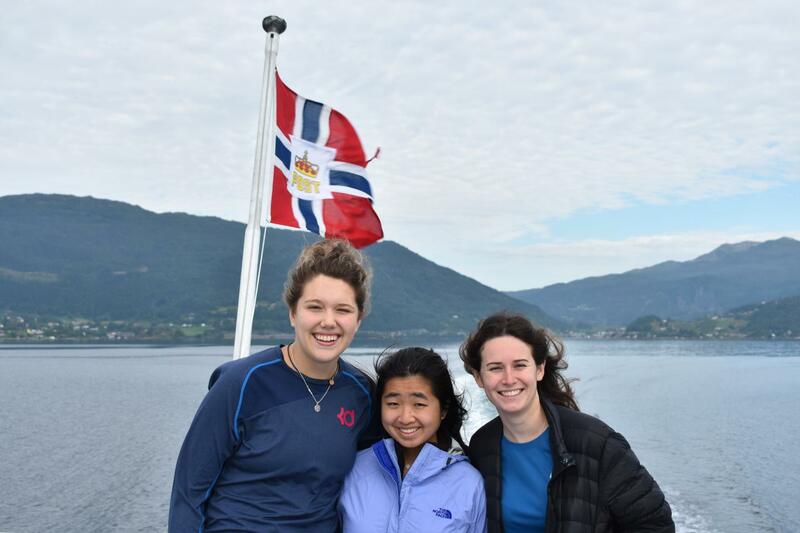 Cross fjords, kayak through a beautiful harbor to a shipwreck, and of course, go whale watching! 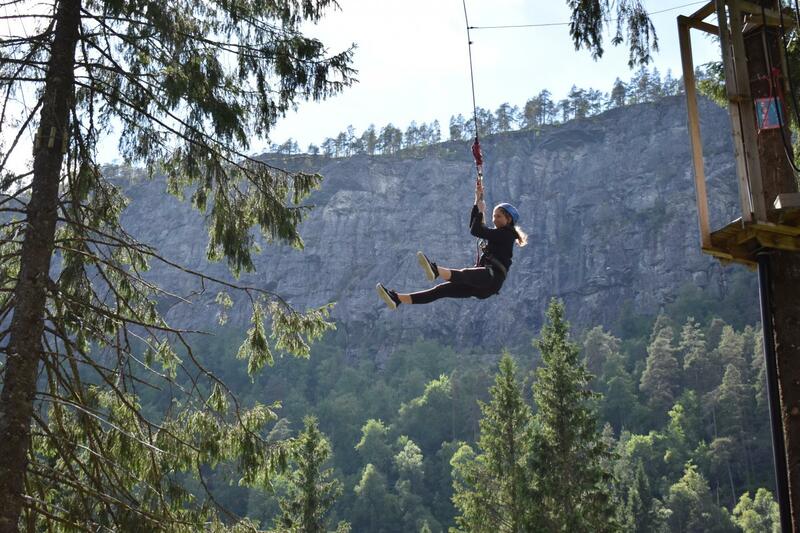 This program highlights the awe-inspiring nature and stunning cities of both Scandinavia and Iceland and is ideal for anyone who loves nature, off-the-beaten-path travel destinations, and adrenaline-inducing adventure activities mixed with just the right amount of cultural immersion. Go on a Viking Sushi boat cruise for the freshest seafood you’ll ever have! This program is the combination of our two popular but shorter Scandinavia Adventure: Norway, Denmark, Sweden and Finland and Iceland Adventure programs. Please note that for the June 24th departure, the trip begins in Scandinavia and finishes in Iceland and for the July 8th departure the trip begins in Iceland and finishes in Scandinavia. For the July 8th departure, this itinerary will begin in Iceland and end in Scandinavia. 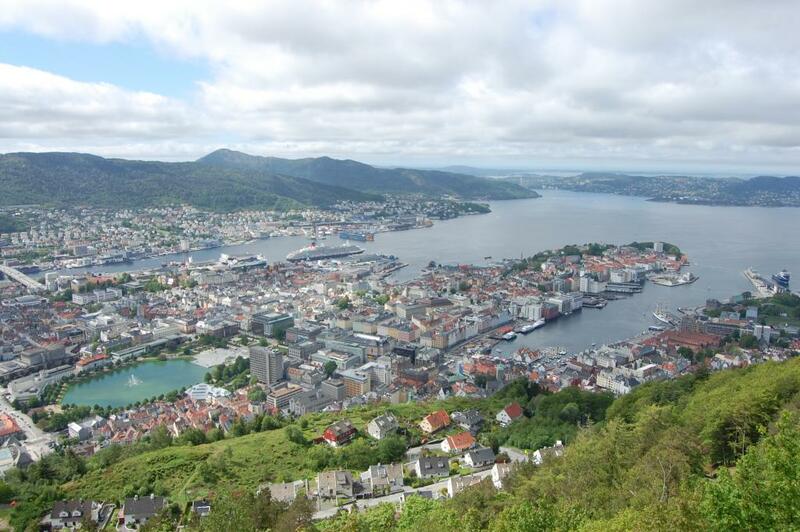 Start your journey on the rugged West coast of Norway in beautiful Bergen, one of the most important old ports in Europe. 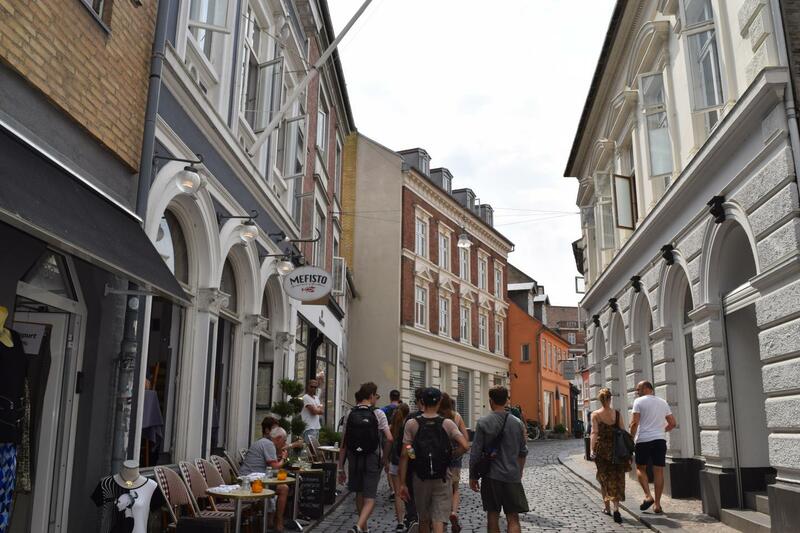 Experience the history of UNESCO Heritage Listed Bryggen Wharf, eat the freshest seafood at the central Fish Market and hunt for trolls as you hike to the top of Mt. Floyen. 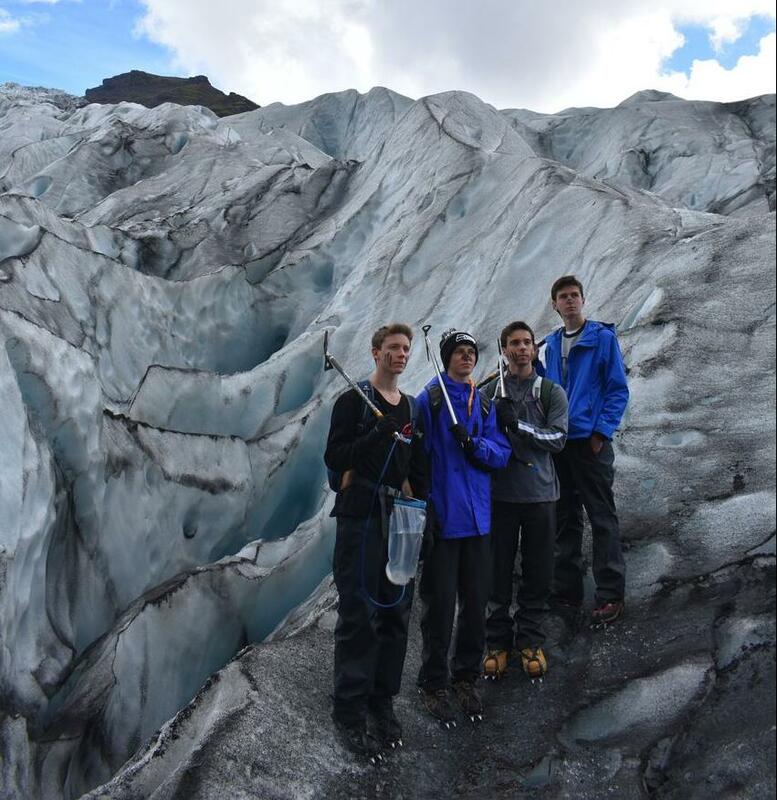 For the adventurous, you can choose to get geared up and hike the Juklavass glacier, a once-in-a-lifetime experience. Watch the countryside change as you speed over to our last stop, Stockholm, possibly Europe’s most beautiful city. Shop to your heart’s content as you meander through the winding cobblestone streets and vibrant public squares of charming Gamla Stan, one of the best preserved Medieval cities in Europe. Check out the wonders of Skansen, the oldest open-air museum in the world; learn about the mighty Vasa – the world’s only preserved 17th century warship; witness famous Scandinavian design in the hip neighbourhood of Södermalm, find the best Swedish meatballs in town and hear stories of Stockholm’s gruesome past on a ghost tour through the city. We’ll hop a quick flight over to the city of Helsinki, also considered the most liveable city in the world! We will enjoy lunch in Market Square before heading off to explore the city center, visiting the Helsinki Cathedral and choosing between different museum options. 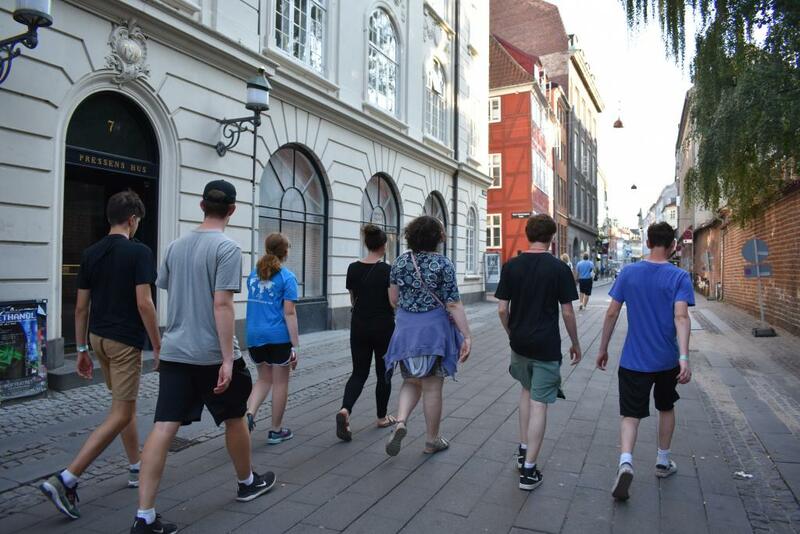 After dinner, we’ll go on the Helsinki Horror Walk to enjoy the notorious ghost stories, awesome urban legends, and creepy yet intriguing tales of history that only Helsinki can offer! Check out the city lit up at night from the SkyWheel observation Ferris Wheel and enjoy a traditional Finnish sauna, something every Fin loves to do in their free time! Shop ‘til you drop on the Esplanade and celebrate the end of the Scandinavian portion of your adventure with dinner at a trendy Helsinki restaurant. Welcome to Iceland! For our first day, we’ll explore the capital city of Reykjavik. There is street art behind every turn, beautiful parks, and unique shops where local artisans sell their handmade wares. We’ll take a walking tour led by very entertaining locals, enjoy traditional and modern cuisine at a hip food market, and shop for souvenirs in the trendy shops. You’ll even get to ride the elevator to the top of Hallgrimskirkja Church for a fantastic view of the entire city. Iceland’s natural beauty can be found everywhere along the southern coast. We’ll begin in Thingvellir National Park, home to Gullfoss Waterfall and many other natural landmarks. Gaze in awe at the Strokkur Geyser, which erupts every 10 minutes like clockwork, then go for a soak in the nearby hot springs! You’ll also have the option of snorkeling in the Silfra fissure, where the Eurasian and North American tectonic plates are separating by approximately two centimeters each year, and where you can see for about 300 feet down, due to the water being some of the clearest in the world. 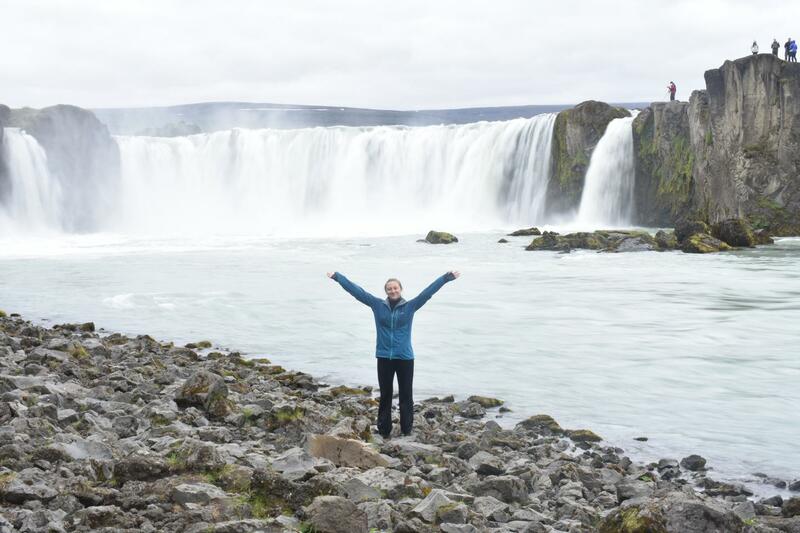 From there, we’ll move on along the coast to the beautiful black sand beaches, the cliffs home to massive colonies of puffins, and Seljalandsfoss and Skógafoss Waterfalls. Our road trip continues as we head east, past lava fields that will make you feel like you’re on another planet. 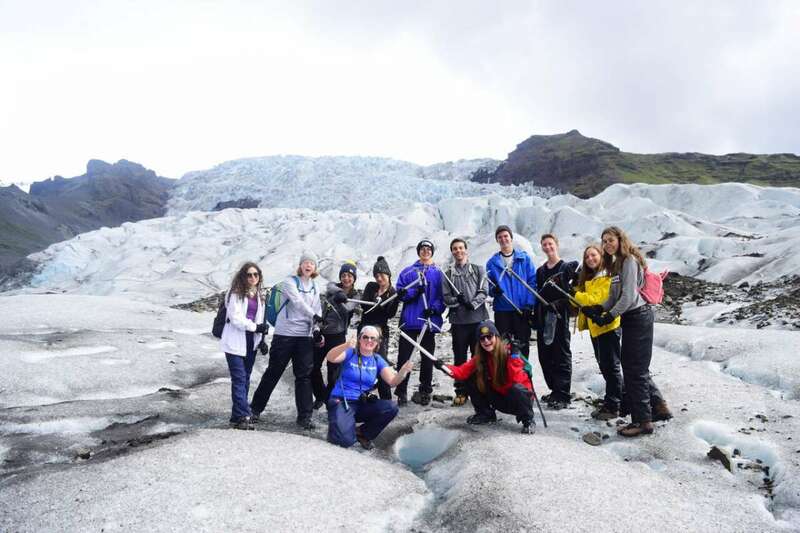 We’ll spend a day exploring the Vatnajokull Glacier, the largest glacier in Europe. 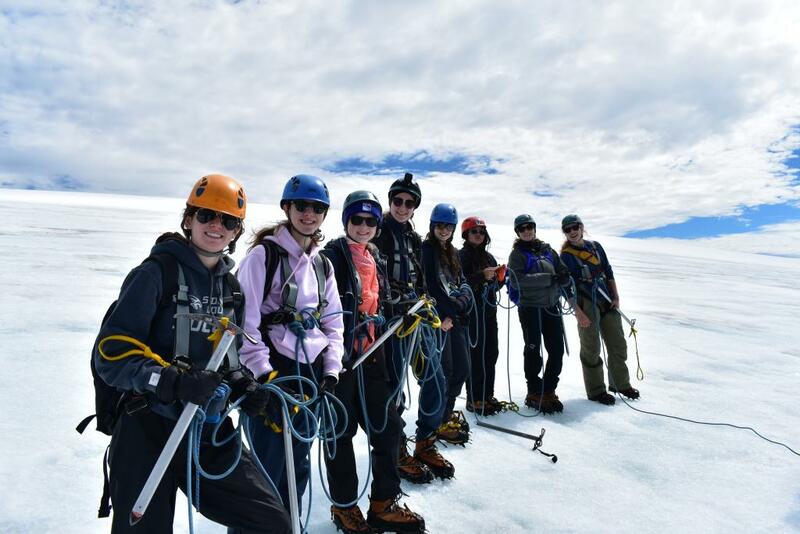 If you so choose, you can even put on crampons, grab an ice pick, and climb the glacier yourself to see the fantastic ice formations at the top! 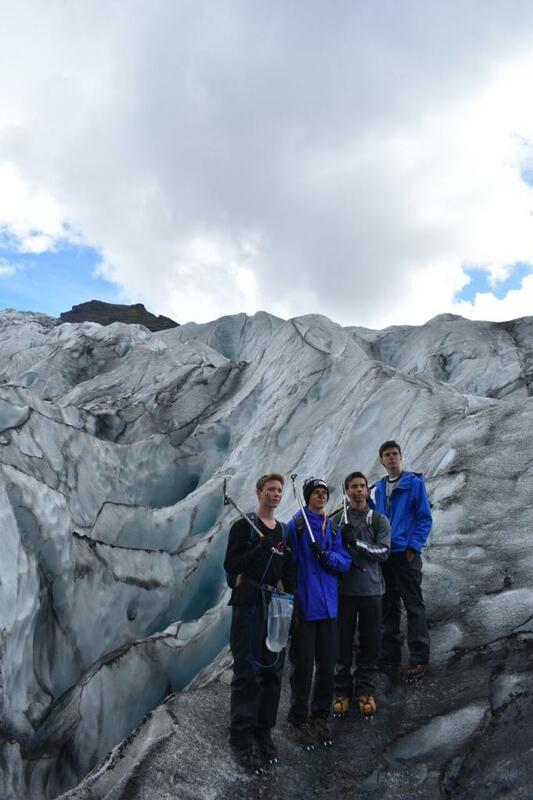 You’ll also be given the option to hike among the massive waterfalls around the glacier. That evening we’ll explore a lagoon filled with floating icebergs–be sure to keep an eye out for seals swimming in the lagoon! Next, take a leisurely drive through the majestic Eastfjords. 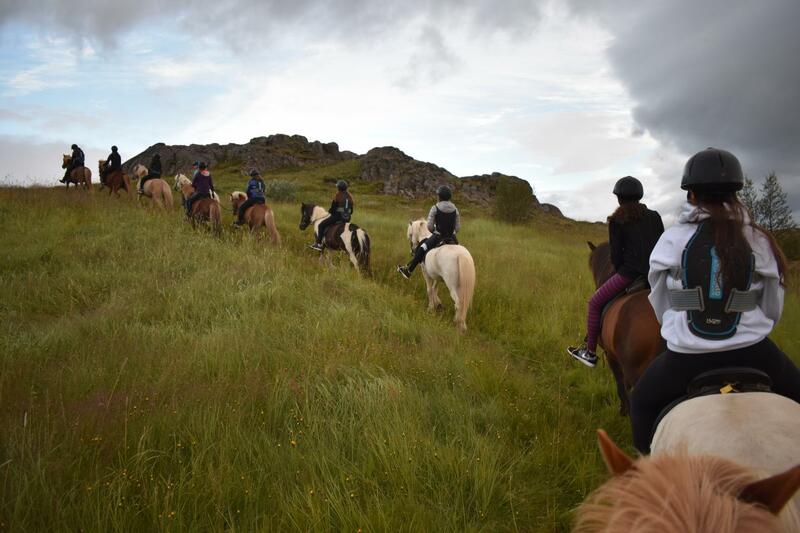 We’ll stop along the way for a ride on the gentle Icelandic horses, and snack on waffles and hot chocolate to warm up afterward. In the evening, go for a kayak ride out to a shipwreck in the harbor of the beautiful fishing village Seydisfjordur. We’ll continue along the ring road up to the sunny northern area of Lake Myvatn. After the drive up, spend the afternoon unwinding in the Nature Baths. 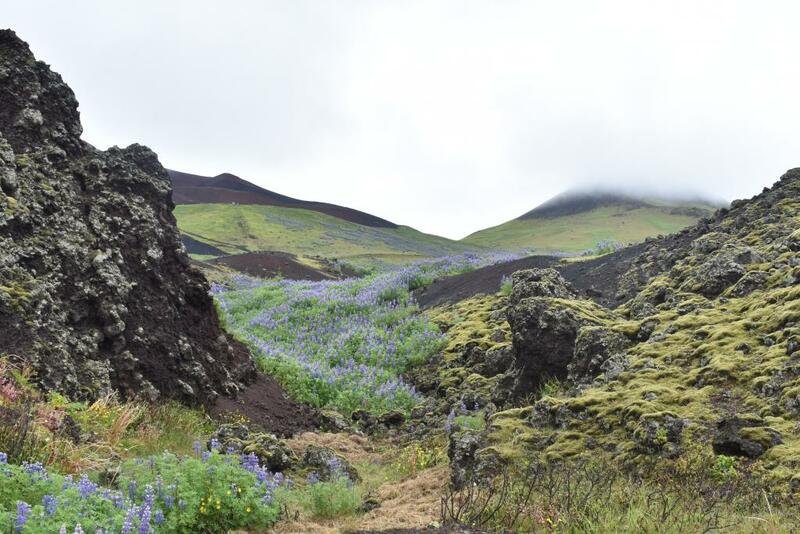 During your time in Myvatn, you’ll hike up the Hverfjall Crater, stroll through the Dimmuborgir lava formations, and see the Grjótagja Hot Springs, where Game of Thrones was filmed. What better way to begin the day with an incredible whale watch? Northern Iceland’s waters are teeming with massive whales that migrate here in the summer. 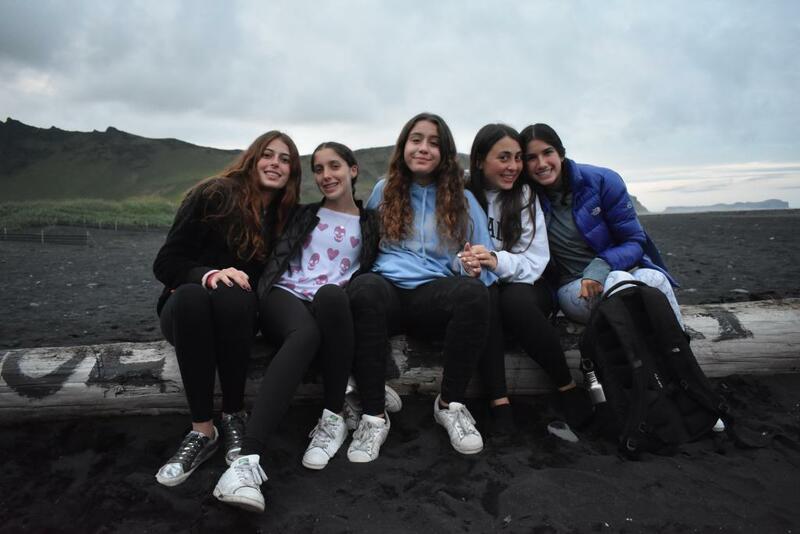 Suit up in a special windbreaker and enjoy a relaxing cruise around the beautiful fishing village of Husavik to see them up close! 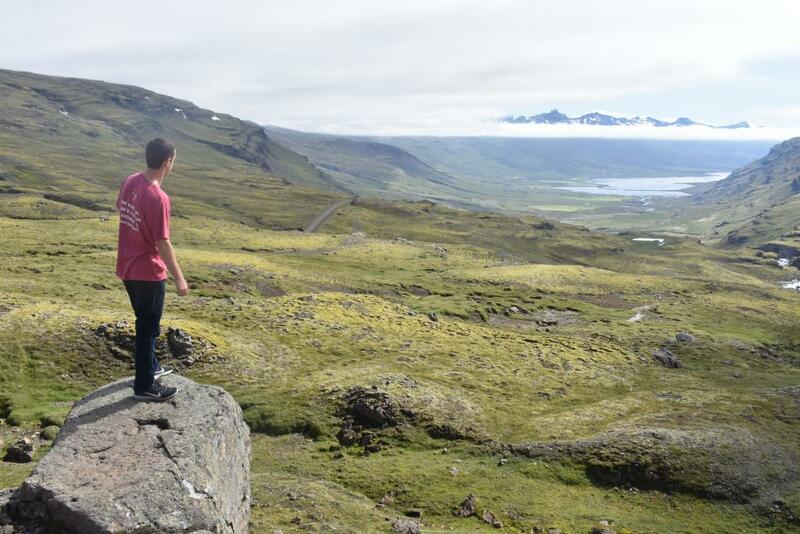 From Husavik, it’s on to Iceland’s other major city, Akureyri. Well, “major” is a relative term…It only has around 20,000 inhabitants! 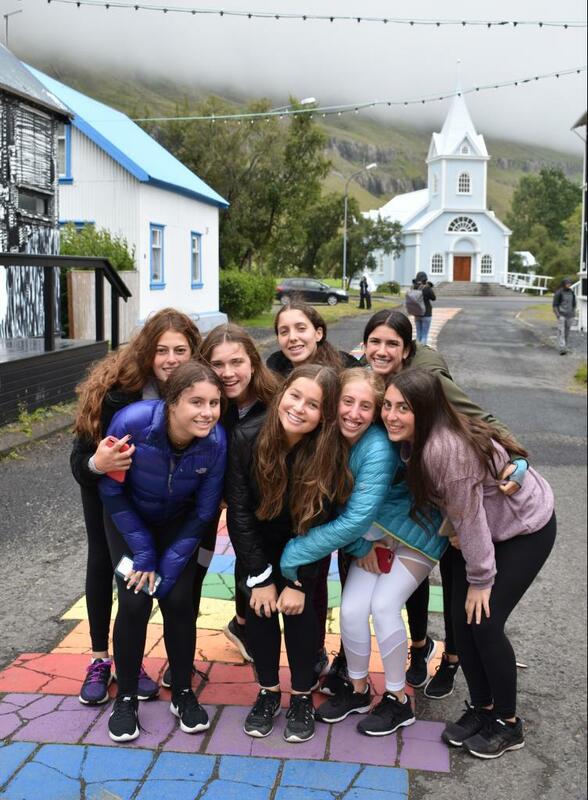 On the way, we’ll stop at Godafoss, also known as the “Waterfall of the Gods.” We’ll learn all about traditional Icelandic life here as we visit the turf homes (houses built into the ground), and check out the impressive Akureyri Church. Of course, no trip to Akureyri would be complete without a visit to its most famous ice cream parlor! Often referred to as the “gem of the west”, Snaefellsnes’ rich geological variety means that around every corner is a cave, crater, or mountain just waiting to take your breath away! We’ll stay in the cozy fishing village of Stykkisholmur and explore Breidafjordur Bay, including Flatey Island, which seems like it is frozen in time, as well as go on a Viking Sushi cruise to sample seafood pulled fresh from the ocean right in front of you. 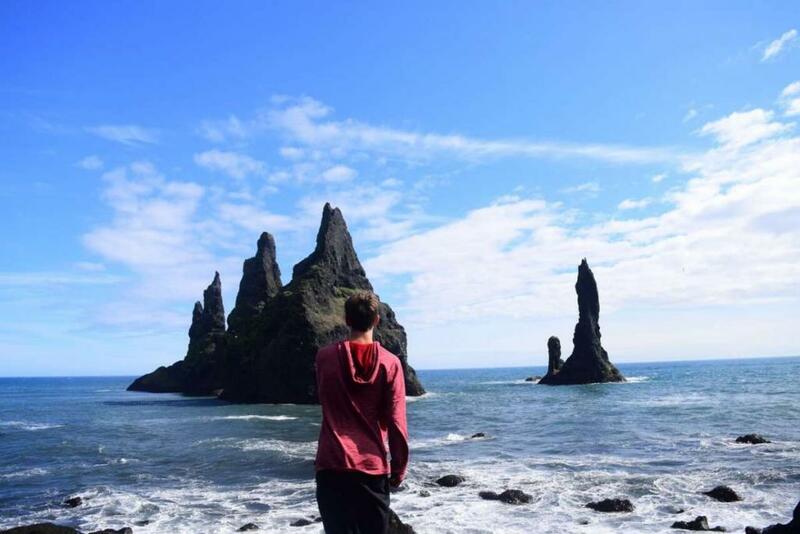 We’ll also hike between the two villages of Hellnar and Arnarstapi, topping off our day with fresh fish and chips from a family-run food truck. We’ll come full circle as we return to Reykjavik for one final night in Iceland. Along the way we’ll stop at Hraunfossar, widely considered to be the most beautiful waterfalls in all of Iceland. Last, you’ll have your chance to soak all afternoon in the famous Blue Lagoon hot springs! You’ll also have some time for last-minute souvenir shopping and exploring any places you missed the first time around. Of course, our final dinner of the trip will be at one of Iceland’s top-rated restaurants, so be sure to dress accordingly! In Iceland, it is more common to stay in family-run guesthouses and hostels, as American-style hotels are few and far between. Iceland is incredibly rural, so the guesthouses are all run by local villagers and have a cozy family vibe. They even ask that everyone take off their shoes before going in to make you feel like you are at home! For the Iceland portion of the program, students love that they are able to explore the entirety of a country that is very off-the-beaten-path. 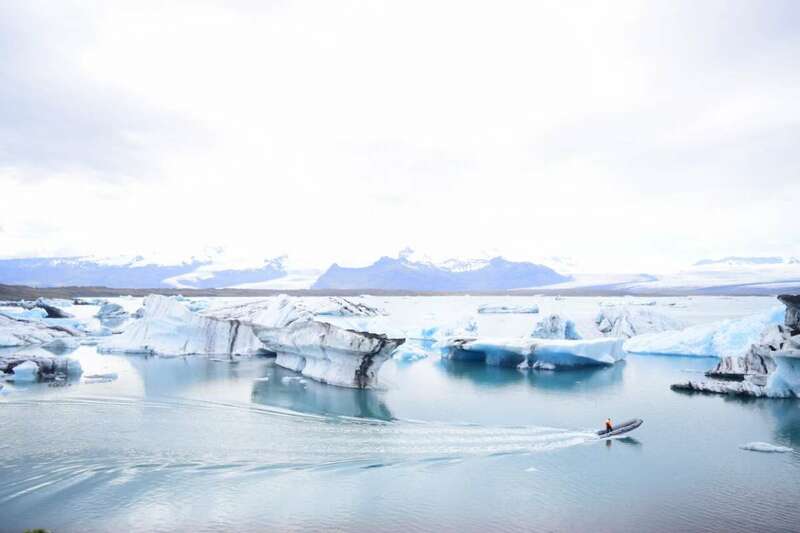 Iceland is a small country and two weeks is the perfect amount of time to learn about its culture, people, and unique geography, while participating in all sorts of adrenaline-inducing adventure activities. 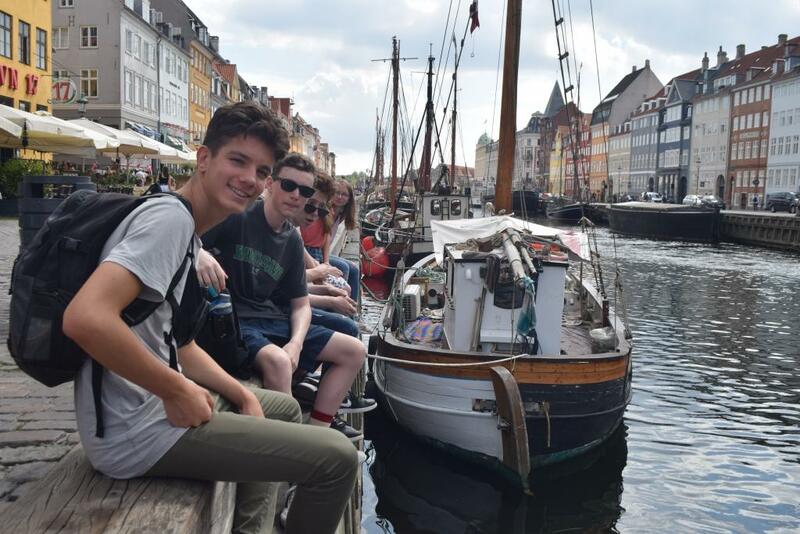 From the complete view of the country it provides–we go all around!–to the sheer variety of activities on the trip, students will take advantage of TFT’s years of experience and providing unique insider access to make teens true travelers, not just tourists. 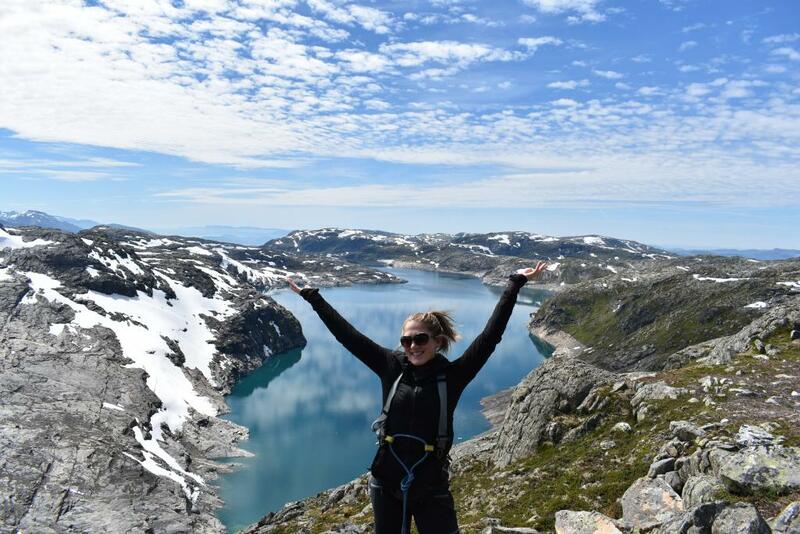 Our Ultimate Nordic Adventure program is an exciting combination of our Iceland Adventure and Scandinavia Adventure: Norway, Denmark, Sweden & Finland programs. The flight between programs is not covered in the cost of tuition and is considered part of your international airfare. TFT will have a set group flight path from Helsinki to Reykjavik (or Reykjavik to Bergen for the Session 2 departure). You can choose to book this on your own, but we recommend booking through our office as we usually are able to get better flight deals. Icelandic cuisine is centered around seafood, especially fish. The fish is some of the freshest in the world, as fishing is a major part of Icelandic industry, and there are literally hundreds of different ways of preparing it. They enjoy rye bread that they bake underground, and other hearty, rustic-style cuisine. However, they also love pizza, burgers, nachos, and vegetarian cuisine, so there will certainly be something for everyone on this trip.